Introduce chore vocabulary to students and ask random questions: Who cleans your house? Who works in your garden? Who rakes the leaves? 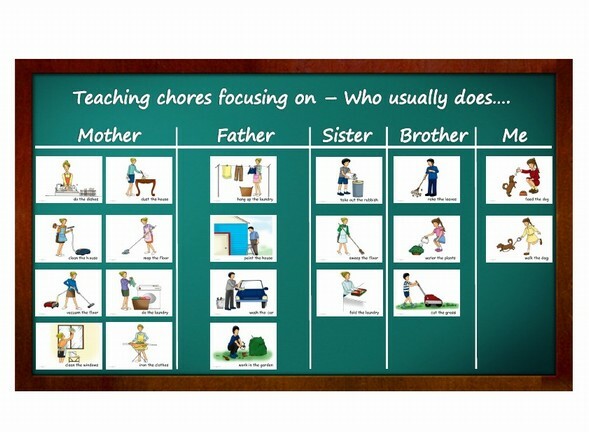 e.g.. Let students draw a small table and they insert the chores according to their family members. For more advanced students you can use adverbs of frequency and adjectives to get more detailed dialogs. For example: Who usually folds the laundry for you? My mother does. e.g.. You can even add time vocabulary to create daily schedules. Flashcard Act Out - Similar to charades or miming, choose one or more students to come to the front. Show a flash card and have the students act it out. Reward the first student to guess the correct answer. 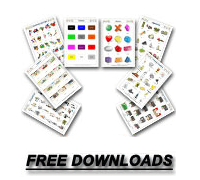 This can be used with many subjects like chores, actions, verbs, phrasal verbs, aches and symptoms, e.g..